More and more people are streaming their music from Spotify while on the go. 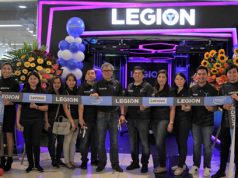 In some cases, that means they’re using their mobile devices for both music and navigation, with navigation as the most widely used non-music app in the car. 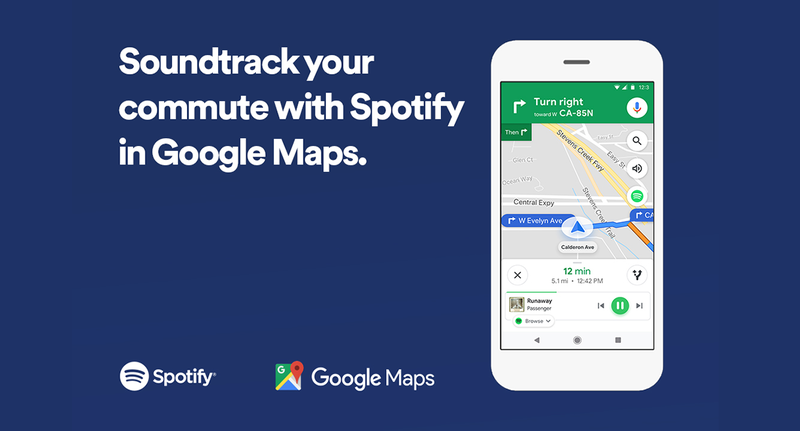 Now, instead of switching back and forth between your tunes and your directions, Spotify’s new integration with Google Maps allows you to control what you’re listening to right in the Maps app. 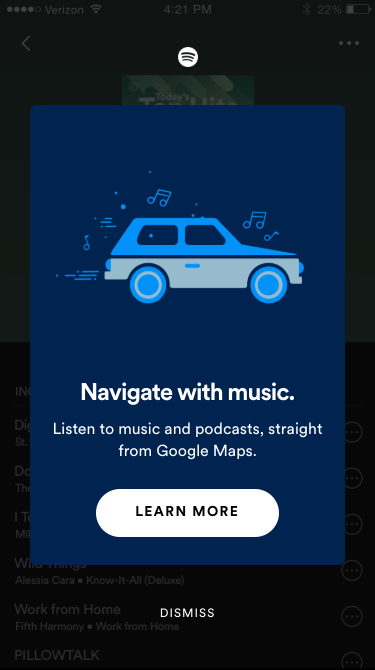 Spotify’s integration with Waze in 2017 showed how navigation works in harmony with music. Starting today, millions of Google Maps users across Spotify markets will be able to “jam through the traffic jam” on both iOS and Android. 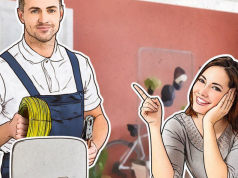 After connecting your Spotify account, you’ll be ready to start. 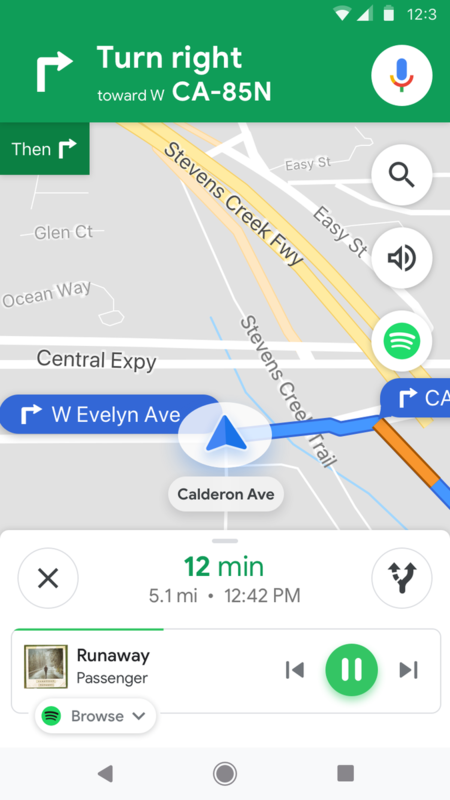 Users can now enable playback controls within the Maps navigation settings to enjoy music and podcasts during active navigation, making Spotify an easily accessible and natural part of your journey. Pause, play, or skip until you’ve found your perfect jam. So on your next ride, Spotify’s got you covered—between streaming your own playlists, our featured Daily Lift or Morning Commute playlists, or playing your favorite album on shuffle, you can now travel to the beat of your favorite tunes and keep your eyes on the destination ahead. The integration will be rolling out to all Google Maps users over the next few days. Ensure that you have the latest version of Spotify and download Google Maps on the iOS App Store here and Google Play Store here.